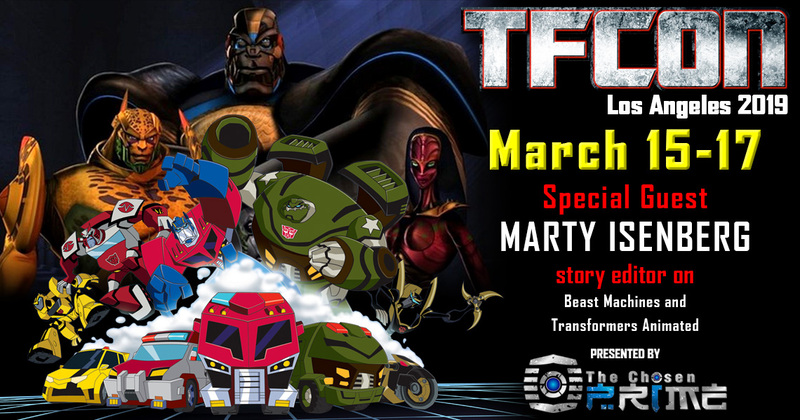 TFcon is very happy to welcome Transformers writer Marty Isenberg to TFcon Los Angeles 2019. His Transformers credits include story editor and writer on Beast Machines and Transformers Animated, and also wrote episodes for Transformers Prime and Rescue Bots. Marty will be taking part in Q&A panels and autograph sessions with the attendees of the world’s largest fan-run Transformers convention. Marty Isenberg is presented by The Chosen Prime.